It was every Amazon Echo owner's nightmare. 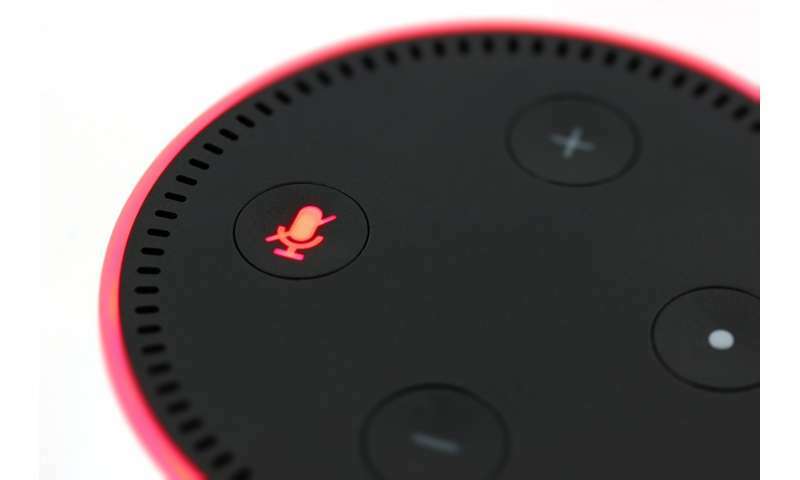 Alexa, the connected speaker, really, truly, was listening in on your conservations, and behind your back, passed on the recording of a private chit-chat to someone on your Echo contact list. This actually happened this week, according to Seattle TV station KIRO, which told the story of a Portland woman's privacy gone amuck. Amazon has tried to counter worries about "always listening" devices by reminding us that the Echo only kicks into action when it hears the wake word Alexa. Ditto for Google and the Google Home connected speaker. The glitch for the Portland family, according to Amazon, is that Alexa heard the wake word, then a series of commands—none of which the family member intentionally made. So if for a moment you felt a little better about your personal information in the hands of the big tech companies—along comes an eavesdropping Alexa. If you're concerned about this scenario, there's a simple solution. Don't set up the Echo speaker to make calls, which is what the Portland woman did. The feature lets you make Alexa to Alexa calls via the speaker or app, and call landlines and mobile phone numbers that are in the contacts of your mobile phone. Most people play music and ask about the weather with their smart speakers, but Bret Kinsella, the publisher of the voicebot.ai blog, says making calls is growing in popularity. He polled 1,000 people in January, and found that 41% have tried calling and messaging with their speakers, 29% use it monthly, and 10% daily. "That's pretty popular, compared to a lot of things," he says. And for those with the Apple HomePod, the latest of the new connected speakers, yes, you can use the Siri personal assistant to voice command music selections and get questions answered. But you can't make outgoing calls, but instead transfer calls from an iPhone to the Apple speaker and use it as a speaker phone.